Just before leaving office, President Barack Obama reportedly authorized the discreet transfer of more than $227 million to foreign accounts, circumventing Republicans who were blocking the funds. Over 97 percent went to the Palestinian Authority. According to a State Department official and several Congressional aides, the Associated Press reported, some $221 million went to the Palestinian Authority (PA), the interim self-governing Palestinian body established in 1994. The rest of the funds were allocated to agencies around the world, with $4 million going to climate change programs for cutting emissions and creating a climate technology center, $1.25 million going to the UN Peacebuilding Fund and other UN programs, and $1.05 million going to the State Department's Special Representative for Afghanistan and Pakistan office and the Bureau of South and Central Asian Affairs. The funds for the Palestinian Authority were originally approved by Congress in the fiscal years 2015 to 2016 and were aimed at supporting humanitarian aid efforts in the West Bank and Gaza, but GOP lawmakers put a hold on the funds. Rep. Ed Royce (R-California), the chairman of the House Foreign Affairs Committee, took issue with funding the PA, which he claimed funds terrorism. “It’s hard to see how this ‘pay to slay’ policy wouldn’t put them on the state sponsor of terrorism list,” Royce said. In the past, presidents have respected holds placed on funds by Congress. However, they always had the power to overturn any holds after the funds were allocated. 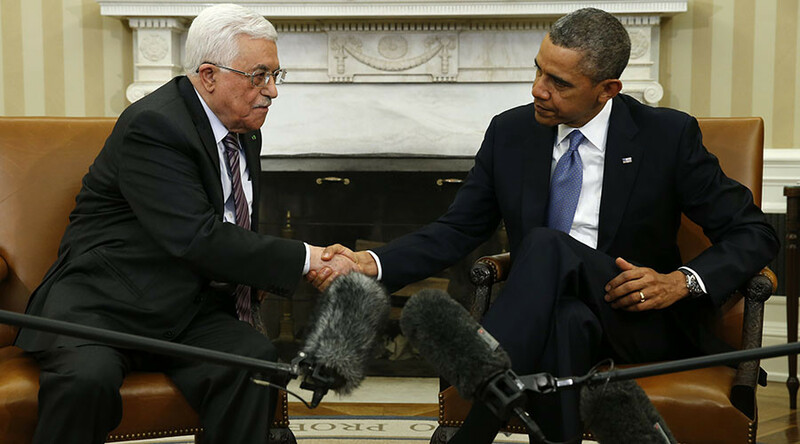 Obama, who was a strong supporter of the Palestinian Authority, had pressed Congress for years to release the funds. In 2012, Congress froze a $192 million aid package for the PA after President Mahmoud Abbas sought UN statehood in 2011. Obama lifted the ban, stating that the aid was “important to the security interests of the United States,” the Times of Israel reported. President Donald Trump, who has vowed to be a pro-Israel president, has been critical of the UN’s decision to recognize the PA.
Trump’s plan to move the US embassy from Tel Aviv to Jerusalem caused outrage from Palestinian leader Mahmoud Abbas, who wrote an official letter to Trump, saying the move would have a “disastrous impact on the peace process, on the two-state solution and on the stability and security of the entire region." Trump’s pick for Ambassador to Israel, David Friedman, called the Israel-Palestine two-state solution “an illusion that serves the worst intentions of both the United States and the Palestinian Arabs” in a 2016 column for Israel National News.